Bangalore, December 23, 2016: A doctor from Fortis Hospital, Bannerghatta Road, managed to relieve a 35-year-old Wizdan Khadim, from Iraq, of a massive tumor in the head. The tumor, that was of the size of a small coconut, had led to doctors back home in Iraq giving her a survival chance post-surgery was very low. The pain that started with her frequent headaches slowly spread to her ears and then to the right side of her body. When she consulted doctors in Iraq, the reports revealed nothing and her condition was dismissed as a symptom of age-related weakness in women. Wizdan tolerated the pain for almost two years. She couldn’t recollect names, her speech slurred and she suffered from mobility impairment. Subsequently, she underwent an MRI scan, which revealed a tumor on the left side of her brain. Doctors, in Iraq, recommended a brain surgery for which she was referred to Fortis Hospital, Bannerghatta Road, under Dr. Rajakumar Deshpande, who understood that all they needed was right infrastructure -- proper support including blood banks, anesthesiologist and radiologist -- to increase chances of her survival. “The tumour approximately measured 8 x 7 x 6 cm,” said Dr. Rajakumar Deshpande, Director, Neurosurgery Fortis Hospital, Bannerghatta Road. The doctors, at Fortis Hospital, opted for a brain surgery using a technique called computer-assisted Neuronavigation, with the help of Advanced Neuro operating 3 D microscope. Sodium fluorescent dye was used to pinpoint the location of the tumor. The tumor causes the blood brain barrier to break, thus the portions that are accessible by the dye are the ones that are tumorous. This helps in keeping the healthy part of brain safe during surgery. Computer-assisted Neuronavigation allows surgeons to navigate inside the skull with the help of specialized computers that process the scans of the affected area in the brain and convert them to three-dimensional images. It also consists of an infrared dual camera system that tracks the surgeon’s instruments during surgery and displays their position. In case of a tumor, the doctor is able to pinpoint the exact location of the growth and excise it with utmost precision reducing the harm to normal nerves and tissues nearby. “There were risks of loss of vision in the left eye, given the size of tumor. It took us more than 10 hours to operate and remove it”, said Dr. Rajakumar Deshpande, Director, Neurosurgery Fortis Hospital, Bannerghatta Road. “The doctors had warned us about the risk of losing vision in the left eye, but I am happy that she can see now. Her right hand has gained mobility and legs are improving,” said her brother. Fortis Healthcare Limited is a leading integrated healthcare delivery service provider in India. The healthcare verticals of the company primarily comprise hospitals, diagnostics and day care specialty facilities. 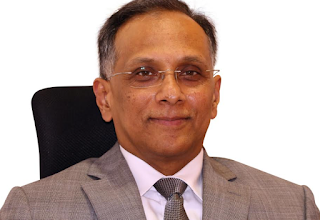 Currently, the company operates its healthcare delivery services in India, Dubai, Mauritius and Sri Lanka with 45 healthcare facilities (including projects under development), approximately 10,000 potential beds and over 330 diagnostic centres.